Born in Suffolk, John Constable was an English Romantic painter, principally known for his landscape paintings of Dedham Vale—now known as "Constable Country". Unlike Turner, he never tied himself to a ship's mast to experience the storm. Instead, he felt it was important to distinguish between different kinds of windmill, ploughs, and cloud formations. 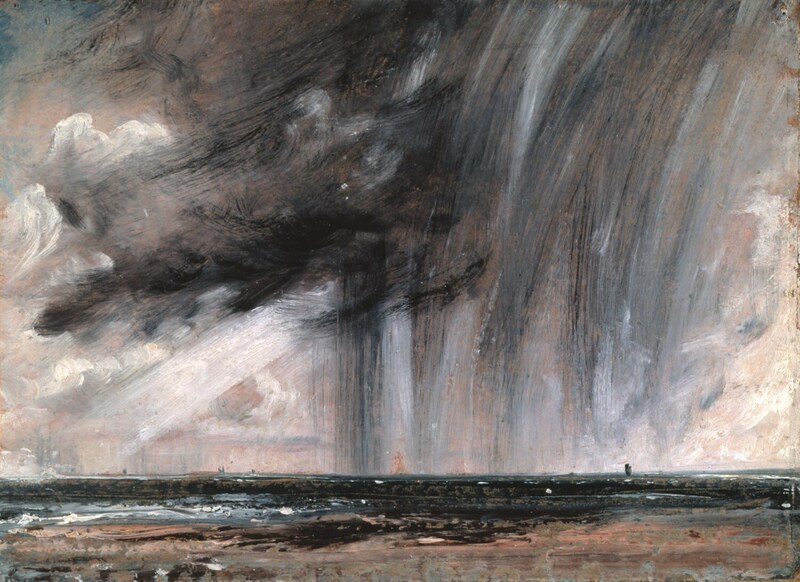 Painting to Constable was a science and a way of understanding the world. 'Seascape Study with Rain Cloud ' is no chocolate box cover, it beautifully depicts the brooding sky and its dramatic force.